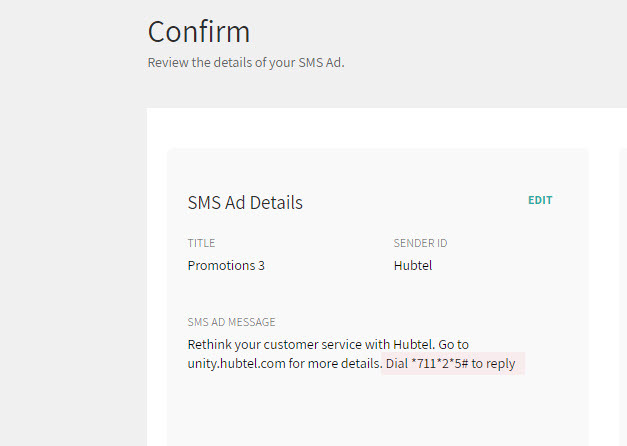 Hubtel Ads makes tracking your leads simple. For every SMS Ad that you send, a portion of its recipients will indicate interest in it by responding to a USSD prompt. These are your leads. We store their phone numbers and tie it to the SMS ad they interacted with, allowing you to see what interested them in the first place. The USSD prompt is appended to the ad for the recipients.